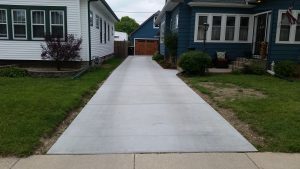 Looking to add a new driveway, sidewalk or patio? Our skilled concrete crew of installers understand concrete and construction. We will help ensure that the project is properly managed addressing critical issues, like proper pitch and stress joints to avoid potential problems as well as provide long term beauty and integrity to your home.